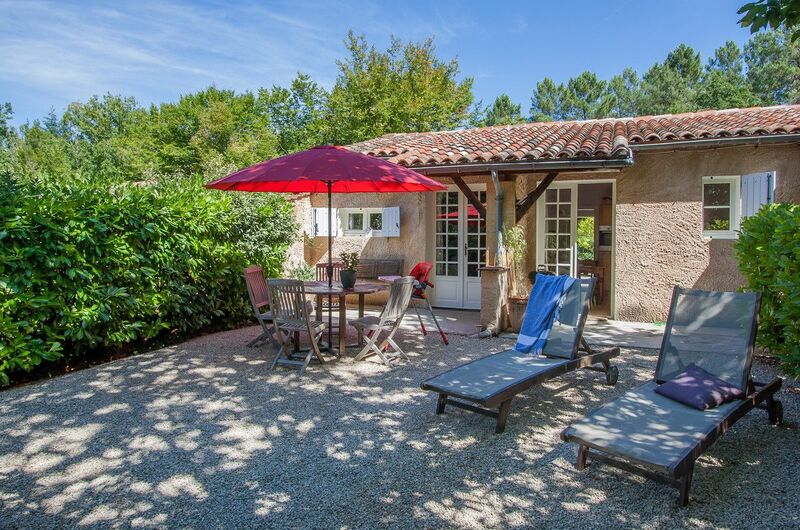 Domaine de la Dolce offers you 3 different size family friendly self-catering cottages (or gîtes how the French call them). Each single-level accommodation benefits from a large south-facing terrace, Weber BBQ, sun loungers and beautiful views over the meadow; a well-equipped and stocked kitchen; UK Satellite TV (CBeebies & CBBC) and DVD player and good quality, king-size master beds. The three self-catering cottages are attached but very well noise-insulated. The spacious and independent terraces are hedged at both sides, thus providing privacy whilst still being open to the large meadow. 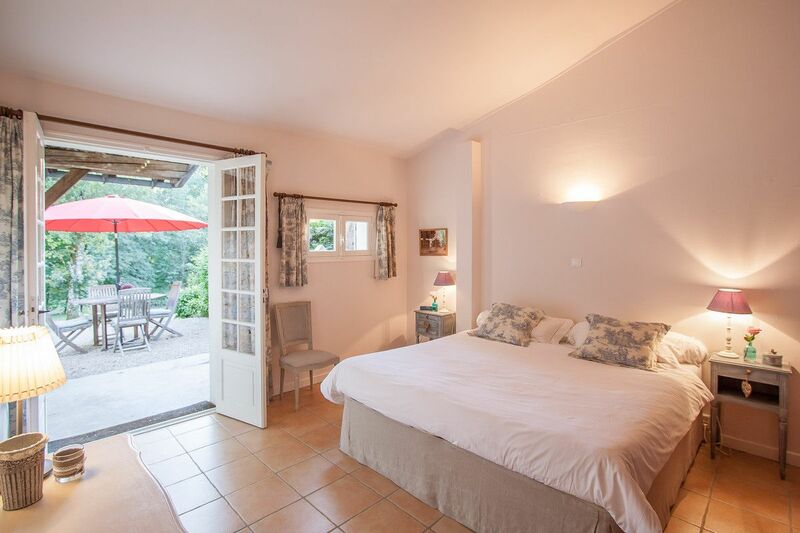 Bath, pool and tea towels as well as bed linen are all provided and included in the rental price. The bed linen is changed for a clean set at the end of each week. Focusing on baby, child and toddler friendly holidays means I offer all needed baby and toddler equipment free of charge. See the Children page for a full list of available items. 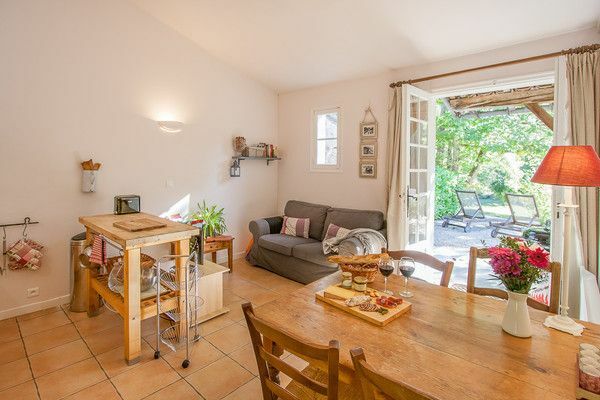 La Luciole is the smallest (54m2) of my cottages, which have all been tastefully renovated, and is ideal for parents with one or two young children or babies. The spacious master bedroom has Toile de Jouy curtains with blackout linings, a Super King size bed, an antique wardrobe and a chest of drawers providing ample storage space. 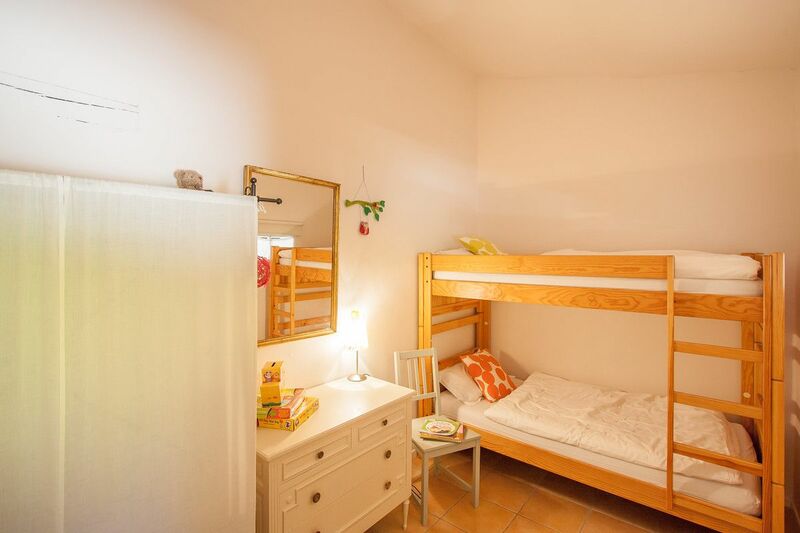 In the children’s bedroom you will find sturdy bunk beds (there is space to put up an additional toddler bed) as well as a wardrobe and a chest of drawers. The curtains are also blackout lined, so that little ones are not woken by early morning sunshine. 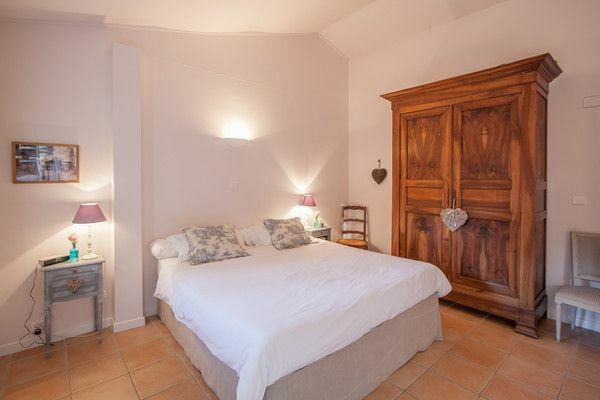 Either bedroom can accommodate a cot. The two sets of French doors from the master bedroom and the kitchen/ dining area lead out to the south-facing private terrace overlooking the meadow. 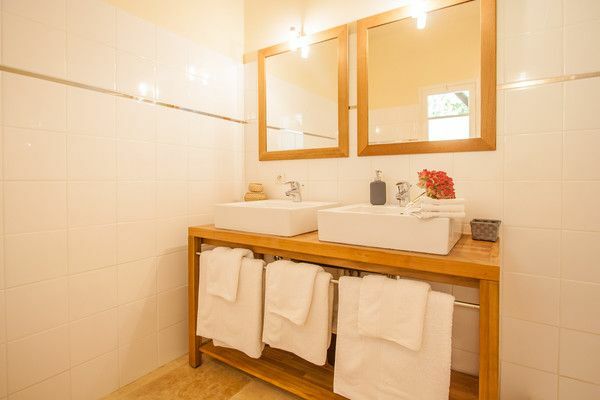 The recently renovated, spacious and luxurious bathroom has a double sink and a large rain shower (with additional hand shower attachment) with space for a baby bath. 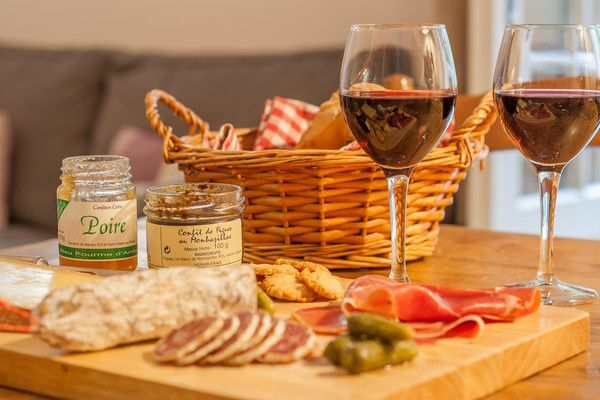 The kitchen is well-equipped with fridge/freezer, microwave, hob and oven plus all the crockery, cutlery and kitchen equipment you would need including plastic cups, plates and cutlery for our little guests. The dining table provides seating for four and there is also a pleasant little sitting area with a comfortable sofa. A 25% deposit with a minimum of 200 Euro is payable on booking (we send you a booking form by e-mail). The balance together with a security deposit of GBP 200 (300 in case of 3 or more bedrooms) is due 8 weeks before arrival.